We hope you will join us for an upcoming volunteer event. We offer one-time and ongoing opportunities for kids, families, and individuals who want to connect to the Cleveland community in a personal, powerful way. Make a difference in someone’s life, beautify the community, and feel great about what you’ve done with your day! We hope to see you soon! Each year, volunteers come together to donate, wrap, and deliver gift baskets at the annual Chanukah in a Basket event. This past year, we garnered nearly 2,000 gift donations for our Jewish community’s neediest kids. Did you know? In our recent population study, 19% of Jewish households reported they are living at or below 200% of the Federal poverty level. We partner with The Cleveland Foodbank to combat hunger. In five days, we served nearly 700 hot lunches to local school kids who may not have enough to eat when school is closed for the winter holidays. 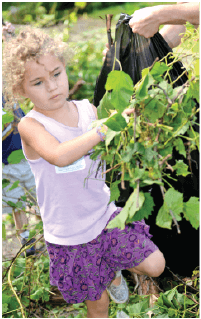 Jewish Clevelanders, ages 21 - 45, come together for a day of hands-on volunteering. In the last five years, hundreds of young adults have made new friends who share an interest in doing good around our community. Together, they are helping improve local lives working at non-profits around the community. 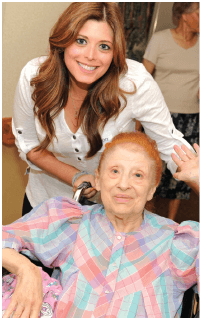 There’s no greater mitzvah than caring for those who came before us. 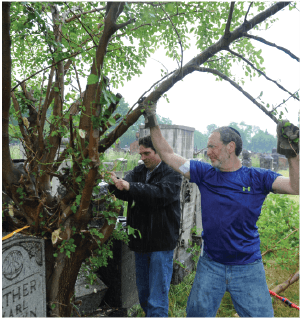 Each year, hundreds of volunteers, young and old alike, honor our ancestors by raking, pruning, and beautifying Lansing Cemetery, a 120+ year old Jewish cemetery in Cleveland. We coordinate a volunteer program called Public Education Initiative (PEI) to serve needs of children in the Cleveland Metropolitan School District (CMSD). Volunteers of all ages, races, and faiths, connect through PEI and make positive impact on the lives of others. Our volunteers are tutors and mentors to students who come from predominantly low-income families and are less-likely to begin their schooling with basic literacy skills. We help them succeed. Volunteers commit to one hour per week during the school year, and are usually matched with the same child for the full school year. The relationships that are built are as important as the educational assistance we provide. PEI was established in 1999 at the Buckeye-Woodland School, with just 20 volunteers. Today, we work in over 8 CMSD schools. Over 85% of PEI volunteers return annually. Over 300 K-12 students learn how to read each year thanks to 200+ PEI volunteers who are trained by reading specialists and work one-on-one with individual students. In June 2014, Buckeye-Woodland school reported 100% of students who participated in the program improved by at least one reading level. PEI has successfully developed many community partnerships. 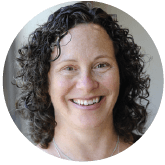 PEI is a member of the Literacy Cooperative of Greater Cleveland and the National Jewish Coalition for Literacy. PEI’s other community partners include a range of secular and faith-based organizations that send volunteer tutors to PEI sites. 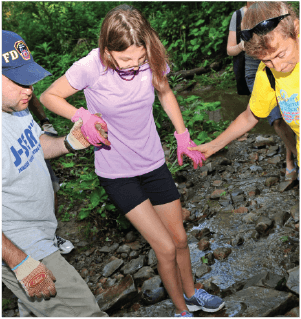 These include Plymouth Church of Shaker Heights, The Fuchs Mizrachi School, John Carroll University, St. Ignatius High School, The United Church of Christ, Business Volunteers Unlimited, and Volunteer Match. In addition, the program has been recognized by Eric Gordon, Superintendent of CMSD. A virtual volunteer opportunity allows you to help those in need at your own pace. commitment. Especially great for school and youth groups. For more information about these volunteer opportunities contact Susan Hyman, JVN Director. Baby items: disposable diapers, baby wipes, lotion, shampoo, wash, oil, powder, etc.